What are the advantages of wheel balance? What’s Included with an Alignment? How to Save Money on an Alignment? Apart from the airbags, traction control devices and anti-lock brakes, your car’s tires and wheels are an important aspect of ensuring safety on the road. That’s because your tires enable you to turn corners, drive straight ahead and stop safely without any issue. However, if you want to get the most out of your wheels, then you’ll have to take them in for regular alignment, which can be done at an auto repair shop or even by your local mechanic. 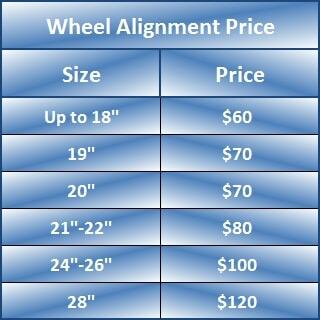 Also, if you’re wondering how much a wheel alignment cost, then you’ve come to the right place. 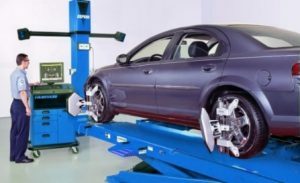 The wheel alignment cost depends on a number of factors, such as the make and model of your car, the number of wheels on the vehicle, the length of the warranty period as well as labor costs. That said, front end alignment usually cost between $55 to $75, whereas a full-on 4 wheel alignment cost goes from $110 to $150. Your options are also open when it comes to the warranty because instead of a lifetime warranty, you can opt for a limited warranty, which will cover the work for a particular period of time only. 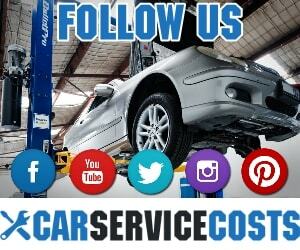 In this article, we’ll also give you details on car alignment cost below. Also known as ‘tracking’ or ‘breaking’ the wheel alignment process is an essential part of regular vehicle maintenance and involves fine-tuning your wheels so that they’re at a manufacturer-approved angle. Regular wheel alignment helps to reduce wear and tear on your tires while making sure that your vehicle always drives straight ahead and doesn’t pull too much on one side. Sometimes, certain wheels need to be lined up at unusual angles that are different from the manufacturer’s specifications to help the driver handle the car in a particular way. For example, vehicles that are used for motorsport or off-road often require their wheels to be adjusted at unusual angles in order to perform well for certain applications. Most modern vehicles come with Advanced Driver Assistance Systems (ADAS) like anti-lock brakes, electronic stability control, adaptive cruise control, lane departure warning and traction control, which require the vehicle to go through electronic resets after the wheel alignment has been performed to ensure that any effects that the alignment has had on these systems will be reversed. If the road you’re driving on goes in a straight line and there isn’t much traffic close by, try taking your hands off the steering wheel and see what happens. If the car starts pulling towards one side, gently place your fingers on the steering wheel to regain control of the vehicle and make sure that it doesn’t go off the road. Then, lift your hands off the steering wheel once again to repeat the test. 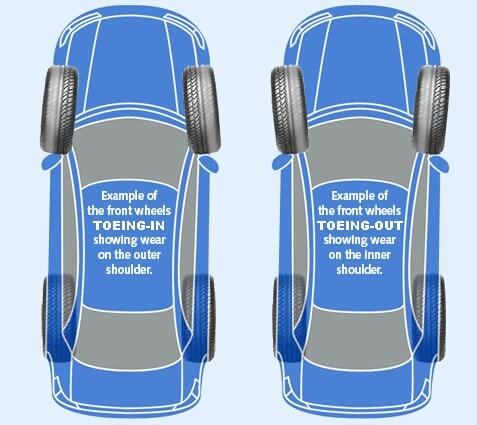 If your car swings to one side again, then you have to take your wheels in for an alignment so you can correct the side of the car that it’s swerving towards. Failure to get a wheel alignment done will make it even more difficult to keep the car straight when you’re driving it, even when your hands are on the steering wheel. 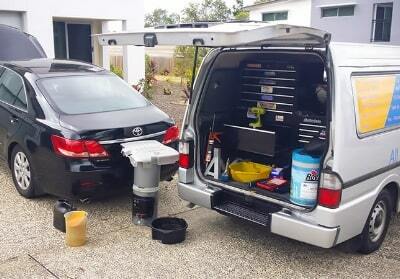 If your car is having this problem, then you need to take it in for a wheel alignment as soon as possible. Ideally, your car’s steering wheel should always be straight and flawlessly centered when you’re driving on straight and even roads, and you can easily notice this by checking the logo in the middle of your steering wheel. If the logo is at an equal angle to you then it’s perfectly centered. However, if the logo is off-level even with a couple of degrees, then you have to take your car in for a wheel alignment. 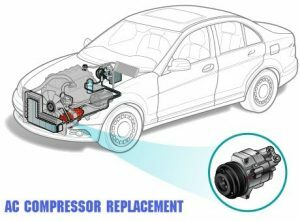 Afterward, you’ll notice that your car will be nicely centered and will drive smoothly. If your steering wheel feels sloppy when you hold it that means your wheels aren’t aligned properly. This could lead to a bit of a lag in your vehicle’s response to your steering wheel, which means that your car won’t be able to turn immediately after you spin the steering wheel. If you notice this sign in your car, then you should get it checked by a mechanic as soon as possible. If your steering wheel tends to vibrate while you’re driving, then your car may have an alignment issue or some form of imbalance. Driving over a pothole can momentarily compromise your vehicle’s wheel alignment, but if the steering wheel is vibrating then that could be a sign of something even more serious. Whatever the case, make some time to have your car checked by an expert. If certain threads on your car’s tires are starting to look worn out on one side more than in the other, then your wheel alignment could be off. Accurately aligned tires should have matching rubber depth and if one of the tires has a different rubber depth than the others, then it’s a sign that your wheels are not properly aligned. Maintaining accurate wheel alignment is important for a number of reasons, such as maximizing fuel economy and tire life, protecting your investment in your tires, and it enables you to stop safely when driving in wet weather conditions. With proper wheel alignment, your car will have more stability and a better handle on the road. It will also extend the brake pads replacement period and all other parts related to wheels. When your wheel alignment goes off-balance, your car’s fuel efficiency can decrease by up to 7%! So, if for example, you drive your vehicle for 15,000 miles per year at 25 miles per gallon, and with one gallon costing $3.50 then having properly aligned wheels can save you up to $150 in annual fuel costs. A vehicle whose wheel alignment is off can be very dangerous to drive and can be compared to dragging a slanting tire at 100 feet per mile. This will obviously damage your tires exponentially and can be easily avoided by having your wheels aligned by a professional. Getting proper wheel alignment when necessary will also help in maintaining your tire’s tread life while decreasing the amount of wear and tear that happens over the years. Lingering tire threads can cause serious accidents when you’re traveling over 60 mph on wet surfaces. It might take a while for you to notice that your car’s alignment is off-track, but as you drive your car more often you’re bound to notice a few signs here and there. Whether it’s the car veering off in a direction that you don’t want it to, the steering just isn’t what it used to be or there’s a particular wheel that has a misaligned angle, your car will give you plenty of warning when a problem starts to arise. The cause could be anything, from directly hitting a curb when parking or thrashing into a deep pothole. A wheel alignment job is usually done using cutting-edge equipment, and if you don’t have the expertise or equipment to diagnose and align your car’s tires on your own, then you’ll do well to get a certified mechanic to check it and perform the repairs for you. You should also keep in mind that certain vehicles, like certain modern models, require the alignment to be followed by a calibration of the steering angle sensor so that the steering computer is able to detect the forward placement for stability control and adaptive headlamps. It’s important to keep an open mind when it comes to alignment costs so that you’re able to get the right alignment service for your car. 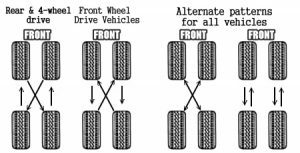 For example, a one-time alignment is a great low-cost option but it only makes sense if you’re planning on keeping the car for a short amount of time. However, if it’s for a vehicle that you plan on driving for a long time, then it could cost you more in the long run in terms of the wear and tear associated with misaligned tires. For long-term vehicle owners, it would be a good idea to invest in an extended contract, which can go on for up to 3 years. Granted, a long-term contract does come with an upfront cost but it generally costs less per service than a one-time job. Also, it might not be a good idea to go with this option if you plan on changing locations in the near future, because the traveling costs from your new location to the mechanic who services your car will just be too much to justify the total wheel alignment cost. You can always try to find coupons for wheel alignment and cut the cost on that way. Whether it’s because they think the problem will just go away on its own or that it’s not a big enough deal to put money into at the moment, a lot of people tend to ignore the signs of misalignment. The downside to this is that the longer you take to do the wheel alignment, the more damage you’ll be inflicting on your car, especially the tires. Plus alignment cost is pretty reasonable and if you’re wondering how much it’ll cost for you, simply search online for ‘how much is an alignment’ or ‘how much is a wheel alignment’. To find qualified mechanics near you, simply search for ‘front end alignment near me’, ‘wheel alignment specials near me’, ‘tire alignment near me’ or ‘car alignment near me’. In a nutshell, finding a reasonably priced wheel alignment specialist close-by is ridiculously easy, and your best bet is to take your car in for an alignment service check whenever you notice any of the signs we mentioned above. How Much Does It Cost To Replace Clutch?